1) THE BUDGET: Professional Caterers who have grown up an important reputation over many years can not be lower than certain prices. They need to cover a huge overhead like every company with emplyees and fixed costs. If you hired a good Wedding Planner they know who to recommend. If not you can ask the Venue or do some research online. But take some time to speak with somebody expert in the Wedding Industry. A simple good dish does not make a Caterer qualified. Type of Table setting and furniture you wish: that the Caterer has in the warehouse or something different to be rented? All these factors affect the price of the proposal they will submit to you. 3) REPUTATION: you can definitely find several reviews on the Caterers, but it would be helpful to find out how long they have been working on the market and the organization and structure they have built up. 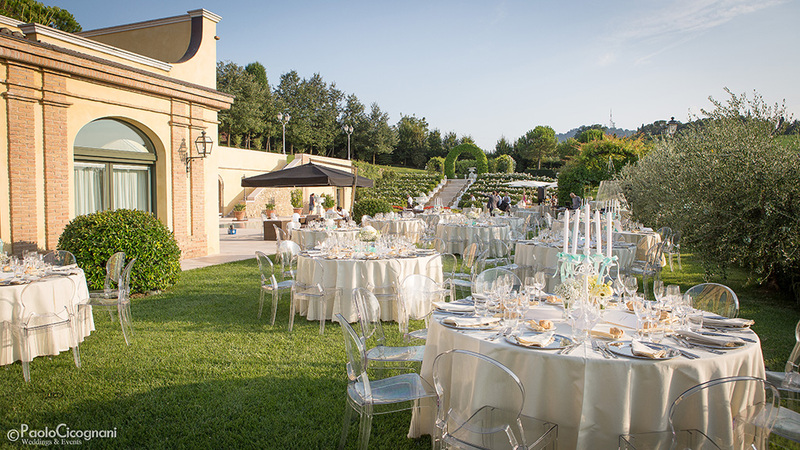 If it is a young caterer, it is not taken for granted they are not reliable but I would suggest to hire somebody in Italy who at least would make a deeper evalution and check how professional and equipped they are. It is not a question of mere quality of the food, but how the company is organized with laboratories, staff, professional waiters, how long does their service last for a 3-course Dinner and some other aspects.